Feel like a kid again! 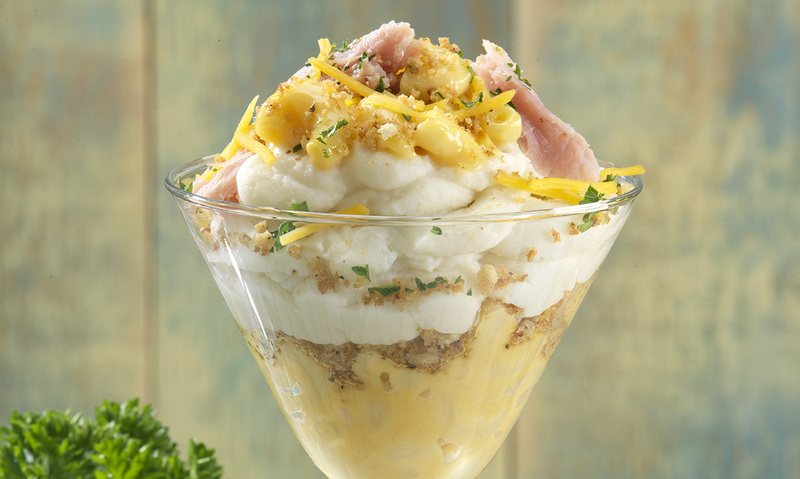 Enjoy our Macaroni & Cheese combined with honey glazed ham & Original Mashed Potatoes, scooped into a glass. 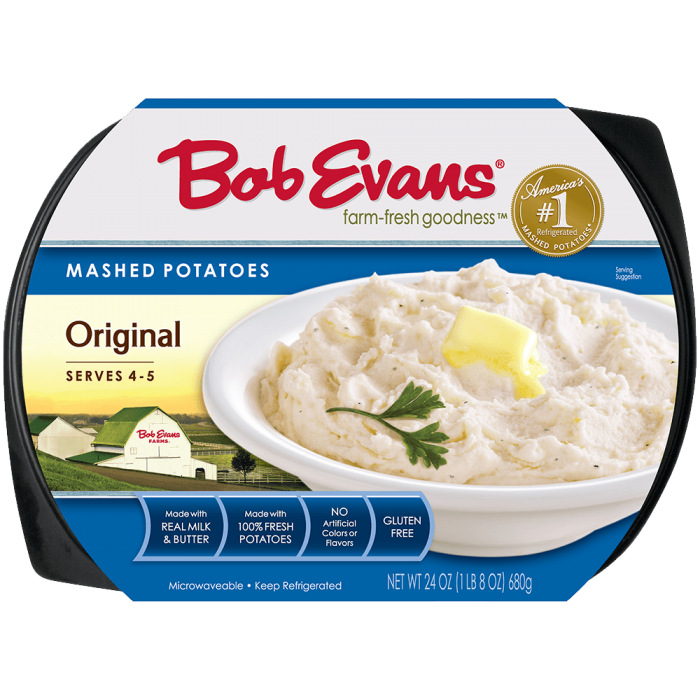 Prepare Bob Evans Original Mashed potatoes by following the recommended microwaving instructions on the package. 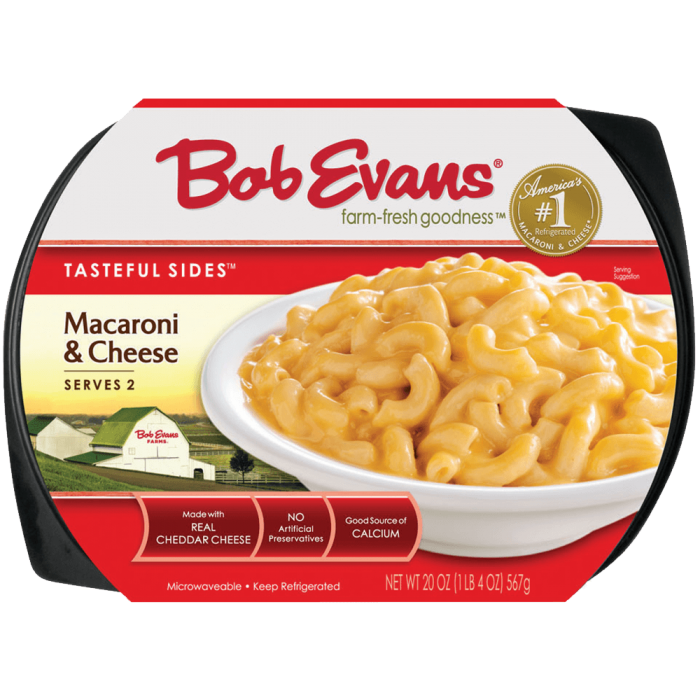 Prepare Bob Evans Macaroni and Cheese by following the recommended microwaving instructions on the package. Place 2 oz. of Bob Evans Macaroni and Cheese in a martini glass. Sprinkle 1 Tbsp. toasted bread crumbs over Macaroni and Cheese. Place 3 oz. of Bob Evans Original Mashed Potatoes in a martini glass. Sprinkle 2 Tbsp. shredded cheddar cheese over mashed potatoes. Place ham slices, cut diagonally, down side of glass. Garnish with 1 tsp. chopped parsley. 1 Prepare Bob Evans Original Mashed potatoes by following the recommended microwaving instructions on the package. 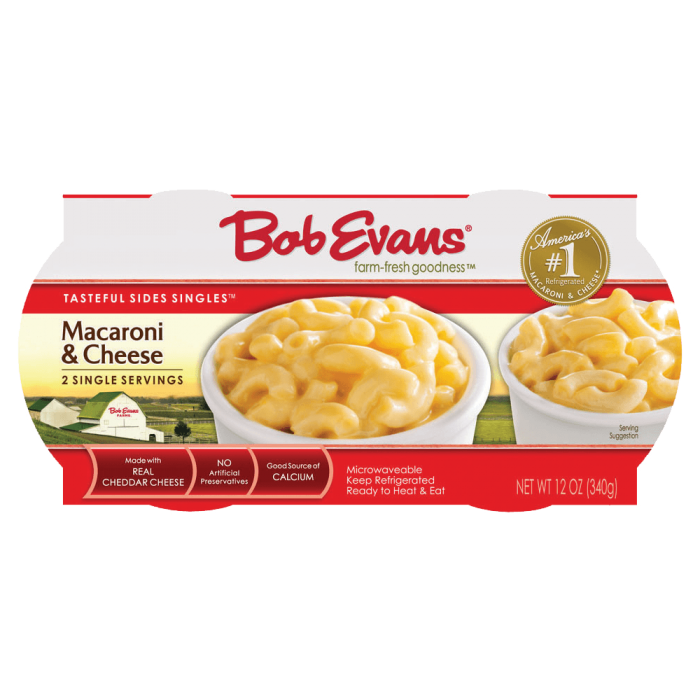 2 Prepare Bob Evans Macaroni and Cheese by following the recommended microwaving instructions on the package. 3 Place 2 oz. of Bob Evans Macaroni and Cheese in a martini glass. 4 Sprinkle 1 Tbsp. toasted bread crumbs over Macaroni and Cheese. 5 Place 3 oz. of Bob Evans Original Mashed Potatoes in a martini glass. 6 Sprinkle 2 Tbsp. shredded cheddar cheese over mashed potatoes. 7 Place ham slices, cut diagonally, down side of glass. 8 Garnish with 1 tsp. chopped parsley.